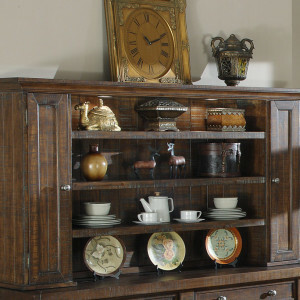 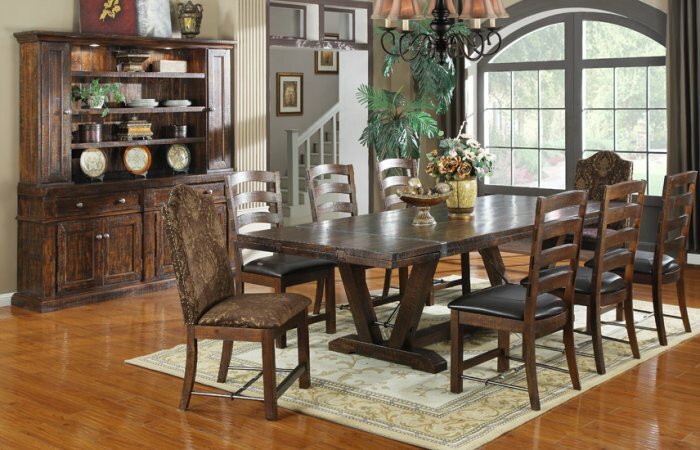 The Castlegate collection, which spans bedroom, dining room, entertainment, occasional, and living room furniture, features materials and design elements that blend “old-world” charm with a modern lifestyle. 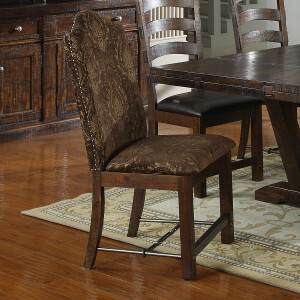 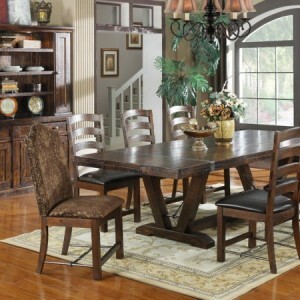 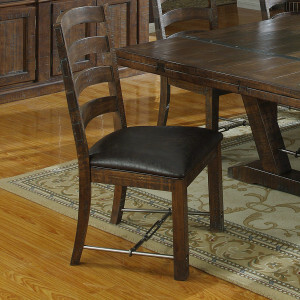 A distressed finish and durable metal accents create a look that is both rustic and comfortable. 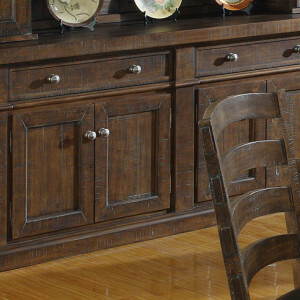 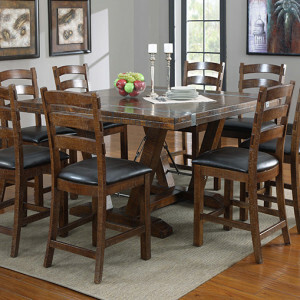 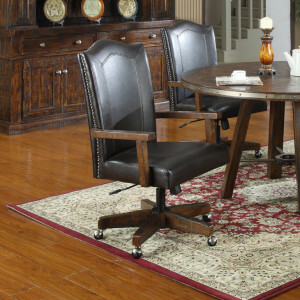 The Castlegate dining collection features include: solid pine and veneers; bonded leather; steel accents; ball bearing glides; tongue and groove drawer bottoms; touch lights (buffet); metal turn-buckle leg supports; and plank-top construction.